In addition, I am providing my Label Review services at a whopping 40% discount to HSCG members. 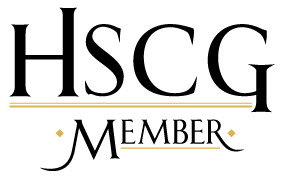 To get the discount as an HSCG member you need to sign up through the HSCG Store – here. I’ve been a member of the Handcrafted Soap and Cosmetic Guild for almost 20 years, and love this organization. I am so happy that we have worked out yet another way in which I can assist the association and the members. If you make handcrafted soap and cosmetic products and aren’t yet a member, consider joining! Not only do you get great benefits, your membership dues support the industry as a whole. Just think … with the discount on my label reviews, the savings from just two label reviews could cover the cost of membership! I watched your videos on HSCG website (my wife is a member) and applied the requirements you laid out for soap labeling. The questions is that I found a company, Finch Berry, that appears to only have a rubber band with their company name only…no weight, identification of product or responsible party address…it is on the website. This would be great if one could do this, to minimize package cost, allow customer to see the designs and eliminate any packaging that could cause offense to some customers (nonrecyclables/plastics/etc.). Also one last question, many of the other handmade products only appear to have the city and state product was made in but no zip code? Thank you in advance for your expert advise on the labeling. The required information must be available at the point of purchase on the label. Putting it on a website doesn’t meet the intention of the law, which is to make it possible for the consumer to make “value judgements”. If they don’t have the information to hand, they can’t compare the value of different products. Remember, just because someone is doing it …. doesn’t mean it is correct.